We can built a custom PC built to your needs, you name the specs! It is easy to go out and buy a new computer, but is it worth it? Computers made by brand name companies are built and sold cheap, made cheaply and are a throw away item. Why you ask? Technology changes everyday, like cars, the computer value decreases as you leave the big box store parking lot and newer featured computers are being put on the shelf everyday. The design of these "out of the box" computers aren't made in the US most of the time and when made overseas, is done cheaply to keep the cost down, but it also keeps the quality down. Just some of our Custom Built Computers! These manufacturers often cut corners on features that consumers wouldn’t normally think to ask about like cache memory size, bus speed, and hard drive speed. For example, a manufacturer may advertise a 3.2GHz processor, but won’t mention that it only has 1 MB of cache memory, which effectively makes the machine slower than a 2.6 GHz processor with 4 MB of cache memory. to get you to upgrade to the fully functioning version. This shovelware can be time consuming to remove. That’s why Best Buy charges $40.00 to remove it for you. 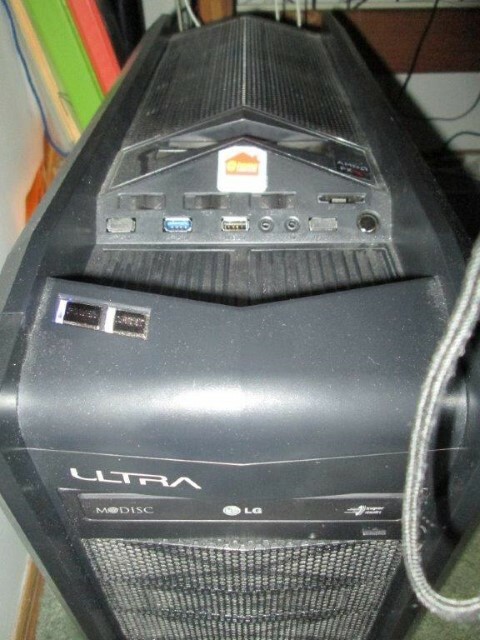 Custom built computers, on the other hand, can be upgraded and enjoyed for approximately 3 to 5 years. They contain higher quality parts that are easily replaced if they fail. You can purchase parts from a variety of different manufacturers, and each of these parts has a 1-year warranty. If it fails, you can return it for repair or replacement. These computers can be serviced anywhere, as the system is filled with universal parts that are easily found. You can customize each piece and buy exactly what you need without wasting money on features you don’t need. many beautiful cases and case modifications to choose from. Your computer can truly look, and be, unique when you custom build. The downside to purchasing a custom-built computer is that you either have to build it yourself or find a local computer shop that builds them. Custom builds cost a bit more, and it usually takes a week or more for the computer to be built. However, in spite of the downside, once you have used a quality custom computer, built and customized to your needs and style of computing, it’s difficult to settle for anything else.